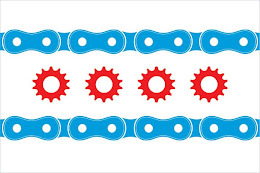 As discussed in this prior IllinoisBicycleLaw.com post, the 2008 "Bailout Bill" included tax credits for bicycle commuters. These tax credits are officially known as "Bicycle Commuting Reimbursements." However, until recently the details on this were unclear. The IRS has released Publication 15-B (2009) which offers guidance for how the program should work. This New York Times article offers further details as to how many mid-sized companies are utilizing the tax credits as well as the future for transportation tax credits that may include tax credits for those who bike and take mass transit. Bicycle improvements, repair, and storage. These are considered reasonable expenses as long as the bicycle is regularly used for travel between the employee's residence and place of employment. Employee. For this exclusion, treat the following individuals as employees. A leased employee who has provided services to you on a substantially full-time basis for at least a year if the services are performed under your primary direction or control. A self-employed individual is not an employee for qualified transportation benefits. Exception for S corporation shareholders. Do not treat a 2% shareholder of an S corporation as an employee of the corporation for this purpose. A 2% shareholder is someone who directly or indirectly owns (at any time during the year) more than 2% of the corporation's stock or stock with more than 2% of the voting power. Treat a 2% shareholder as you would a partner in a partnership for fringe benefit purposes, but do not treat the benefit as a reduction in distributions to the 2% shareholder. Relation to other fringe benefits. You cannot exclude a qualified transportation benefit you provide to an employee under the de minimis or working condition benefit rules. However, if you provide a local transportation benefit other than by transit pass or commuter highway vehicle, or to a person other than an employee, you may be able to exclude all or part of the benefit under other fringe benefit rules (de minimis, working condition, etc.). Exclusion from wages. You can generally exclude the value of transportation benefits that you provide to an employee during 2009 from the employee's wages up to the following limits. 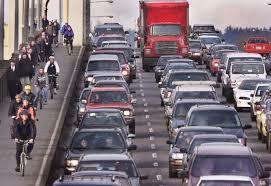 $120 per month for combined commuter highway vehicle transportation and transit passes. $230 per month for qualified parking. $20 per qualified bicycle commuting month. Benefits more than the limit. If the value of a benefit for any month is more than its limit, include in the employee's wages the amount over the limit minus any amount the employee paid for the benefit. You cannot exclude the excess from the employee's wages as a de minimis transportation benefit.